Sonova Holding AG, the world’s leading provider of hearing solutions, continues to set new standards with the introduction of a broad range of innovative products. 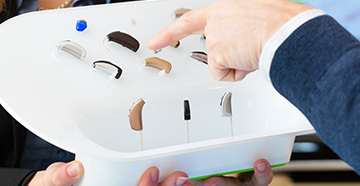 The Group unveils its most extensive portfolio of rechargeable and discreet hearing solutions ever across its three core hearing aid brands, Phonak, Unitron and Hansaton. With Bolero™ B-PR, Phonak extends the Belong™ platform and its groundbreaking lithium-ion rechargeable technology to the new Bolero B family of behind-the-ear (BTE) hearing devices. Phonak is also unveiling its smallest custom device it has ever produced ‒ the Virto™ B-Titanium, a tiny custom hearing instrument manufactured from titanium. Unitron introduces its new Tempus™ platform by showcasing the Moxi™ Fit R ‒ the world’s smallest rechargeable hearing instrument in its class. Completing Sonova’s industry-leading rechargeable portfolio is Hansaton, which in December of 2016 launched the AQ™ HD S, its first lithium-ion rechargeable hearing system. According to a recent study, results show that more than nine out of 10 hearing aid wearers were “very satisfied” with battery life of their Phonak rechargeable hearing aids, with ease of use being identified as the number one advantage across both hearing aid wearers and hearing care professionals (HCPs). Furthermore, the study found that 88% of hearing care professionals would recommend Phonak rechargeable technology to their fellow colleagues. With Bolero B-PR, Phonak extends the Belong platform including its groundbreaking built-in lithium-ion rechargeable technology to a powerful BTE. Bolero B-PR comes with rechargeable technology that is proven to have a high satisfaction rating among both professionals and hearing aid wearers. Sonova has been advancing the industrial use of 3D printing technology for many years. At the beginning of the millennium, Sonova was one of the very first companies to start digitally producing custom shells for in-the-ear (ITE) hearing aids and earpieces. 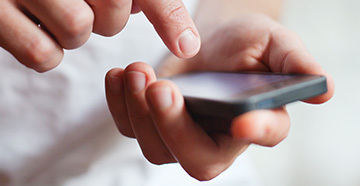 Today, the company produces hundreds of thousands of custom-made products every year across the globe. 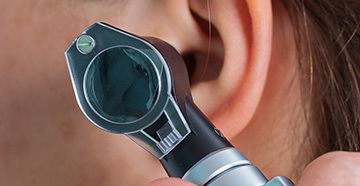 HealthyHearing.com provides our website with the lastest news from the hearing healthcare industry on hearing loss, hearing aids, and more. The articles below will launch in a new browser window.